Tizen Store now has more choices to download your favorite apps on the device. I just sort out some good quality camera apps to use on your Tizen smartphones. These apps are best from the camera apps category and best to use with the phone camera. Newly launched smartphone Samsung Z4 is well known for its front camera and its quality. It has front flash to take quality selfies in low light visibility and its 5MP lense is able to capture beautiful moments. Now these top 11 Best Camera apps will help you to tweak more with your images so you could share them on social media networks. Let me clear none of the apps will give you high quality images with the same sensors. These are only for editing purposes and to make it as per your photography. These all listed apps are available on Samsung Z2, Samsung Z3 and Samsung Z1 devices. Some are not available on new Samsung Z4 Smartphone, but I think they will come soon in near future. The top 11 camera apps are below. After the ACL loss PIP camera is no longer available in Tizen Store. Remaining are working fine on all smartphones. The first one HDR Camera will provide all basic tools to get perfect shots. The Selfeboom, Sweetz Camera, Instatags & Candy Camera tools are good to take your selfies with more options, which is better to share on Facebook, WhatsApp & Instagram apps. 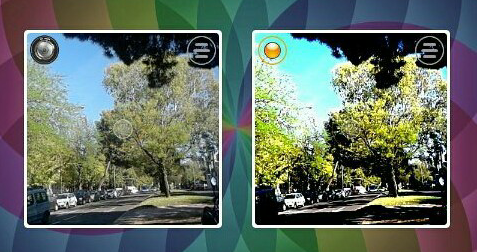 Pixxa – The Image Editor, Night Vision & Photo Filter tools are best editing apps to make wonderful pictures. Almost all apps have essential tools to change ordinary images into memorable albums so use them with your default camera. Right now in the Tizen Store these are the trending camera apps, heading into the top free list. I personally used some apps on Tizen smartphone and their results are great in overall quality. To check availability of these apps on your smartphone go to the Tizen Store and search them. Now download them on Samsung Z4, Samsung Z2, Samsung Z3 and Samsung Z1 smartphones.